The KLM Blue is suggestive of a beautiful, icy landscape – a fresh, clean colour, but with a somewhat chilly feel. To conjure up a warm, domestic atmosphere, Jongerius developed a family of rich, dark hues that make the KLM Blue even more vibrant. 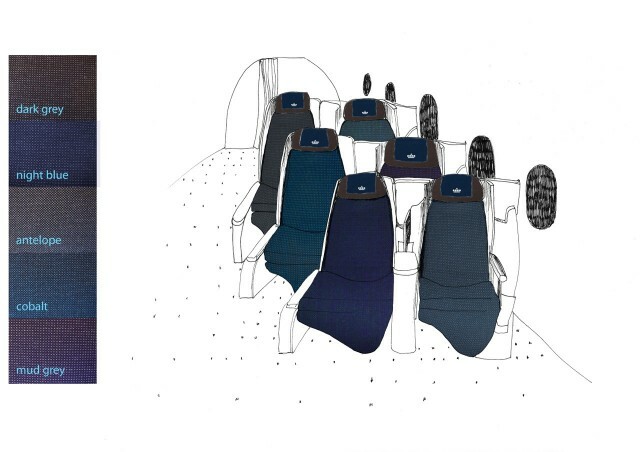 The fabric of the seat covers is in the elegant style of a classic men’s suit, with a series of five simple yet subtle colours: aubergine, dark brown, night blue, cobalt, and dark grey. 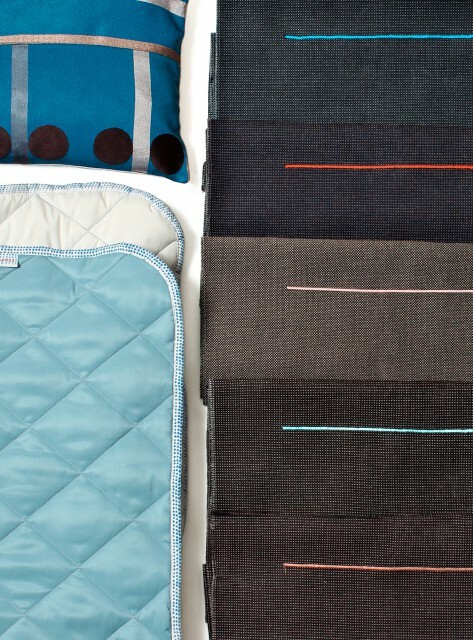 The use of five different seat cover designs draws clear distinctions between ‘my space’ and ‘your space’. This not only heightens the sense of privacy, but also visually punctuates the long axis of the airplane. 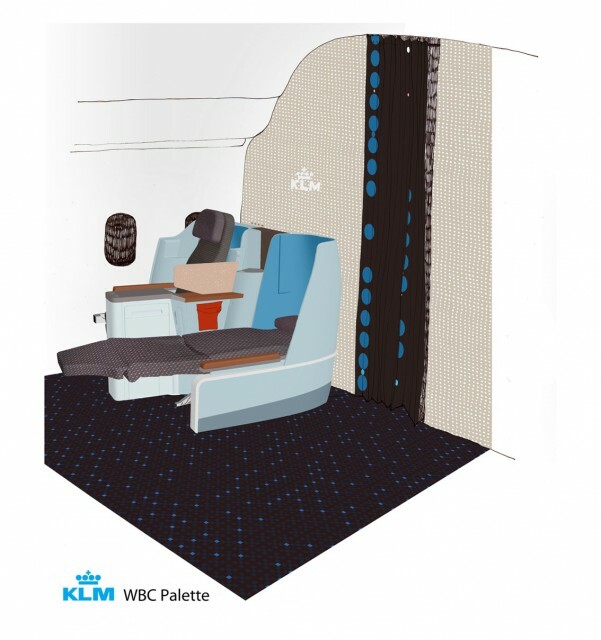 Each individual seating area bears the crown of the KLM logo in white embroidery on the dark blue headrest. The usual KLM letters are left out, a twist that emphasizes the role of the seat as a personal throne. Superior-quality leather is used, and the storage pockets have been designed for convenience, with hand-sewn details. 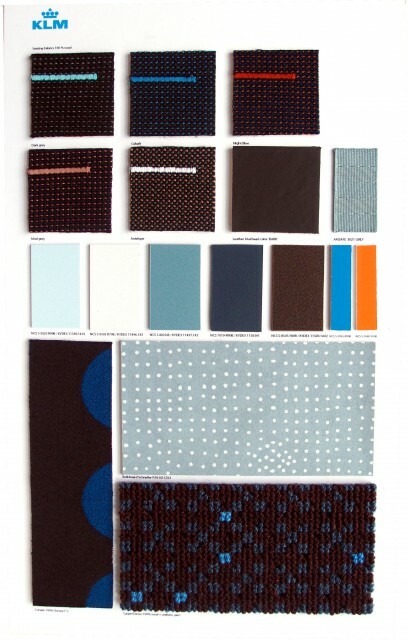 Colour and colour variations play an important role in Jongerius’s work, and her colour palette for KLM reflects her general design philosophy. 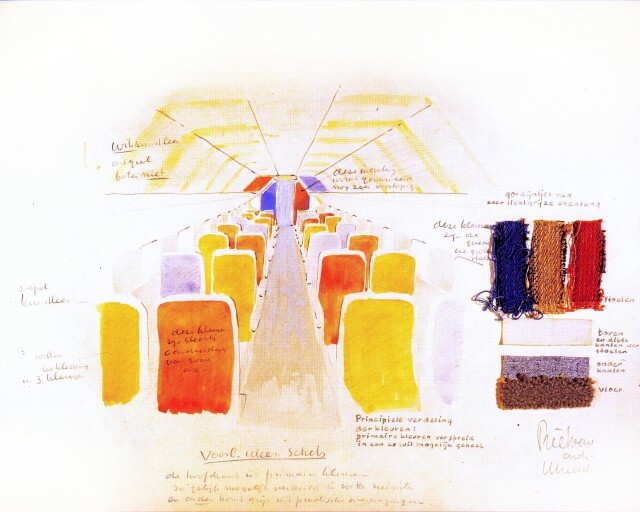 During the design process, she made a surprising discovery: in the 1950s, the designer Gerrit Rietveld had made a similar proposal to use a variety of colours in KLM aircraft interiors. His design was never used. Jongerius’s design can thus be seen in part as an homage to one of the greatest Dutch designers.